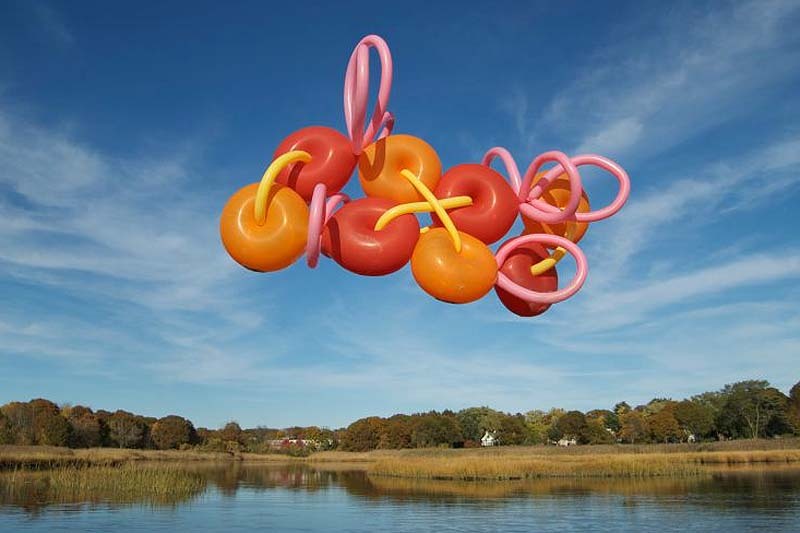 Initially inspired by working with balloons in her retail business, architect/photographer/entrepreneur Janice Lee Kelly (originally from Kentucky) began developing the medium into her own personal art form, eventually creating her studio FLOAT. 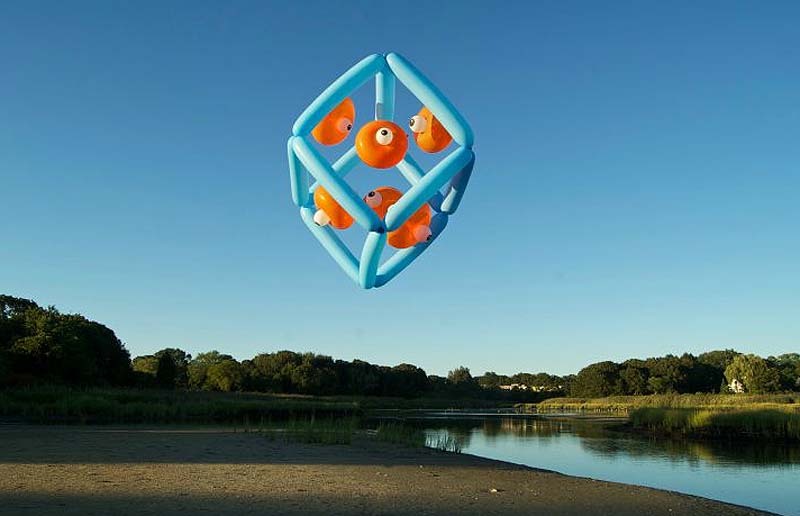 Creating gravity-defying, kinetic and ethereal sculptures, Kelly captures and records their interaction with the environment through photography and video. In addition, Kelly creates balloon pieces and installations for exhibits and event spaces that range from smaller private ones to Lincoln Center for the Big Apple Circus. Her works are so cool! I like the distinct use of shape and colour to create something whimsical and fun. Her use of actual balloons create airiness that contrast to the heaviness created by Jeff Koons in his balloon structures.